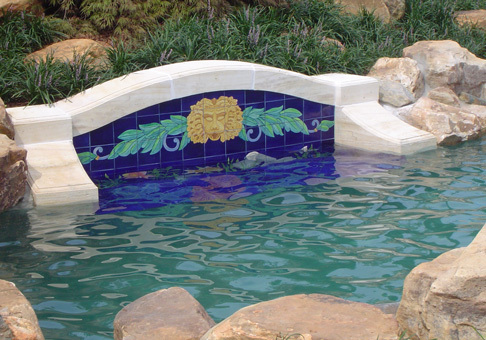 Featured above are 2 Pool Benches, part of a 600+ 6"x6" Tile, Custom POOL Project based on our Lion Head Border . 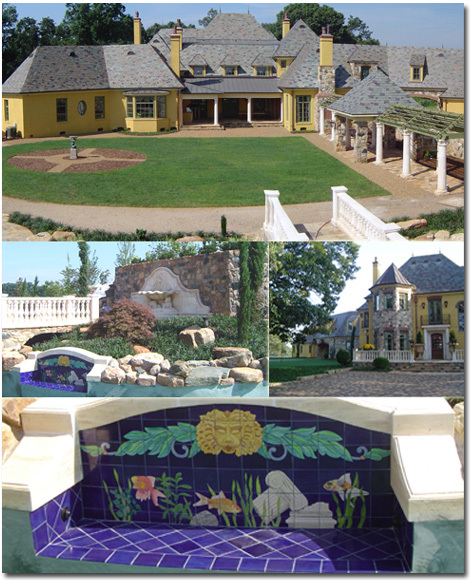 Each Mural shown is apx. 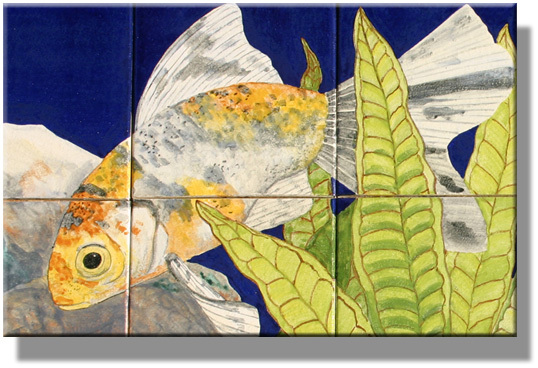 8ft wide by 3ft high. 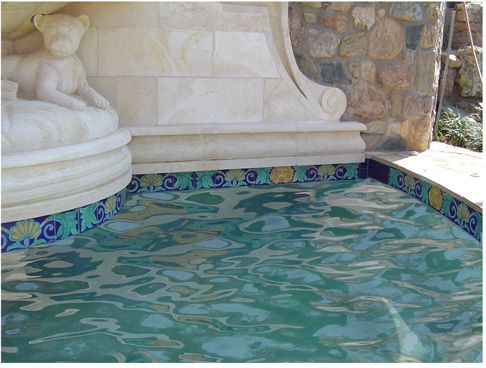 Below is the grotto spa with matching Lion Head Tile border.